Hannes Egger has selected 104 books on South Tyrol from his house library, arranged them into chapters and distributed them in 26 rooms in the garden wing of the Hotel Schwarzschmied. The resulting library is a textual and pictorial composition showing the landscape, social and cultural fabric of the area. 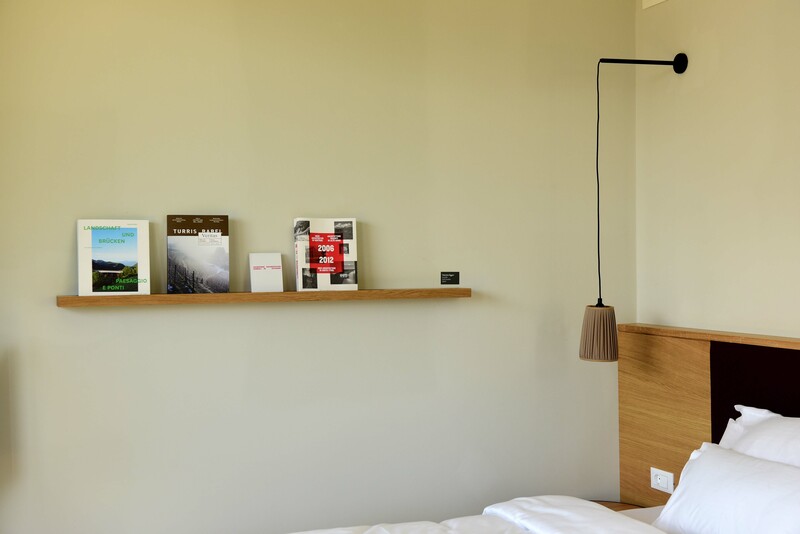 The complete list of books with the corresponding room numbers can be found in the hotel folder of the individual rooms, so it is also possible for the guests to borrow books from other rooms.